By requiring the viewer to combine the colors optically instead of physically mixing Michel Eugène Chevreul, Ogden Rood and Charles Blanc, among others. 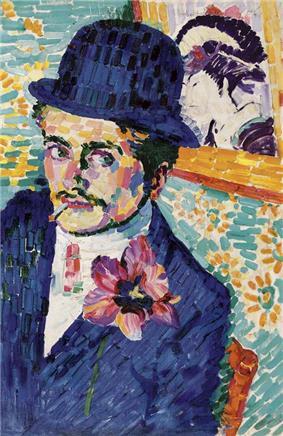 Divisionism developed along with another style, Pointillism, which is defined specifically by the use of dots of paint and does not necessarily focus on the separation of colors. Direct sunlight: As appropriate, yellow-orange colors representing the sun’s action would be interspersed with the natural colors to emulate the effect of direct sunlight. Contrast: To take advantage of Chevreul’s theory of simultaneous contrast, contrasting colors might be placed in close proximity. Seurat’s theories intrigued many of his contemporaries, as other artists seeking a reaction against Impressionism joined the Neo-Impressionist movement. Paul Signac, in particular, became one of the main proponents of divisionist theory, especially after Seurat’s death in 1891. In fact, Signac’s book, D’Eugène Delacroix au Néo-Impressionnisme, published in 1899, coined the term Divisionism and became widely recognized as the manifesto of Neo-Impressionism. 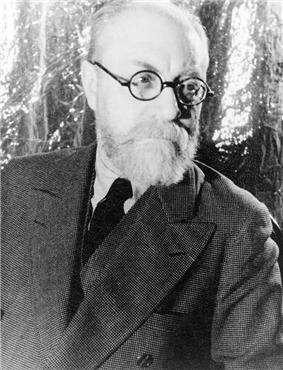 In addition to Signac, other French artists, largely through associations in the Société des Artistes Indépendants, adopted some Divisionist techniques, including Camille and Lucien Pissarro, Albert Dubois-Pillet, Charles Angrand, Maximilien Luce, Henri-Edmond Cross and Hippolyte Petitjean. Additionally, through Paul Signac’s advocacy of Divisionism, an influence can be seen in some of the works of Vincent van Gogh, Henri Matisse, Jean Metzinger, Robert Delaunay and Pablo Picasso. 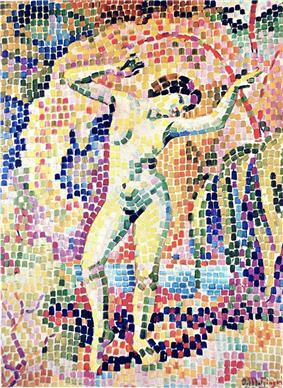 In 1907 Metzinger and Delaunay were singled out by the critic Louis Vauxcelles as Divisionists who used large, mosaic-like 'cubes' to construct small but highly symbolic compositions. Both artists had develop a new sub-style that had great significance shortly thereafter within the context of their Cubist works. Piet Mondrian, in the Netherlands, developed a similar mosaic-like Divisionist technique circa 1909. The Futurists later (1909 - 1916) would adapt the style, in part influenced by Gino Severini's Parisian experience (from 1907), into their dynamic paintings and sculpture. 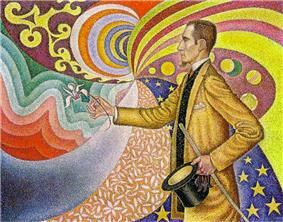 The influence of Seurat and Signac on some Italian painters became evident in the First Triennale in 1891 in Milan. Spearheaded by Grubicy de Dragon, and codified later by Gaetano Previati in his Principi scientifici del divisionismo of 1906, a number of painter mainly in Northern Italy experimented to various degrees with these techniques. Pellizza da Volpedo applied the technique to social (and political) subjects; in this he was joined by Morbelli and Longoni. 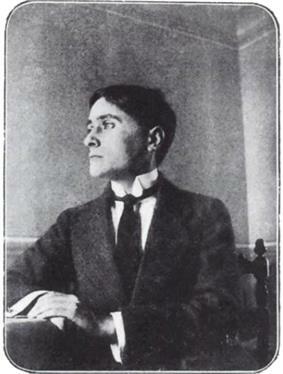 Among Pelliza’s Divisionist works were Speranze deluse (1894) and Il sole nascente (1904). It was, however, in the subject of landscapes that divisionism found strong advocates, including Segantini, Previati, Morbelli, and Carlo Fornara. Further adherents in painting genre subjects were Plinio Nomellini, Rubaldo Merello, Giuseppe Cominetti, Angelo Barabino, Camillo Innocenti, Enrico Lionne, and Arturo Noci. Divisionism was also in important influence in the work of Futurists Gino Severini (Souvenirs de Voyage, 1911); Giacomo Balla (Arc Lamp, 1909); Carlo Carrà (Leaving the scene, 1910); and Umberto Boccioni (The City Rises, 1910). 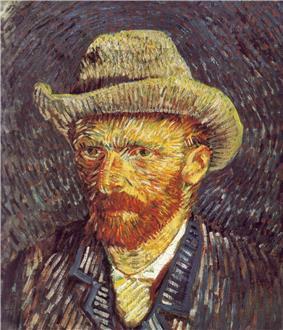 Divisionism quickly received both negative and positive attention from art critics, who generally either embraced or condemned the incorporation of scientific theories in the Neo-Impressionist techniques. For example, Joris-Karl Huysmans spoke negatively of Seurat’s paintings, saying “Strip his figures of the colored fleas that cover them, underneath there is nothing, no thought, no soul, nothing”. Leaders of Impressionism, such as Monet and Renoir, refused to exhibit with Seurat, and even Camille Pissarro, who initially supported Divisionism, later spoke negatively of the technique. While most divisionists did not receive much critical approval, some critics were loyal to the movement, including notably Félix Fénéon, Arsène Alexandre and Antoine de la Rochefoucauld. ^ a b c Tosini, Aurora Scotti, "Divisionism", Grove Art Online, Oxford Art Online . ^ Il Sole Nascente is found at the Galleria Nazionale d'Arte Moderna, Rome. ^ Derived from paragraph in Associazione Pellizza da Volpedo, which cites Enciclopedia dell'arte, Milano (Garzanti) 2002, and also see Voci del Divisionismo italiano in Bollettino Anisa, N. 12 Anno XIX, n. 1, May 2000.